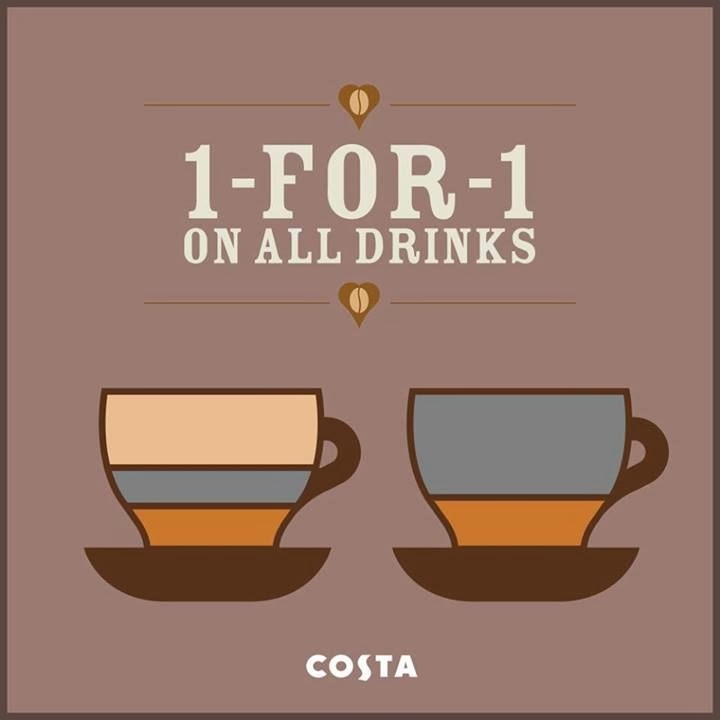 Singapore Freebies: Costa Coffee: Enjoy Buy 1 Free 1 Promotion!! Today Costa is the largest and fastest growing coffee shop chain in the UK. So while a lot may have changed since that first cup was savoured, their coffee certainly hasn't. They still slow-roast our beans in exactly the same way, and even in the same roasters, as Sergio did on that momentous morning 40 years ago.